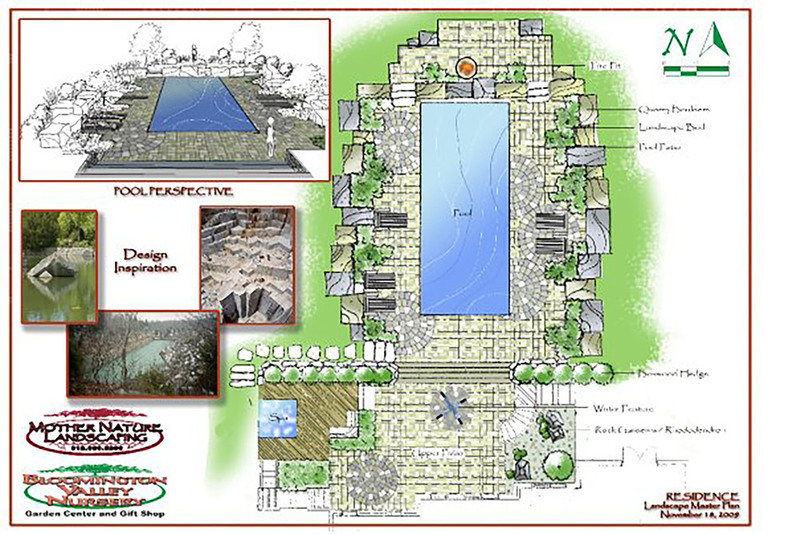 This outside of the box space was designed for a client who wanted their pool area to feel like an abandoned quarry. 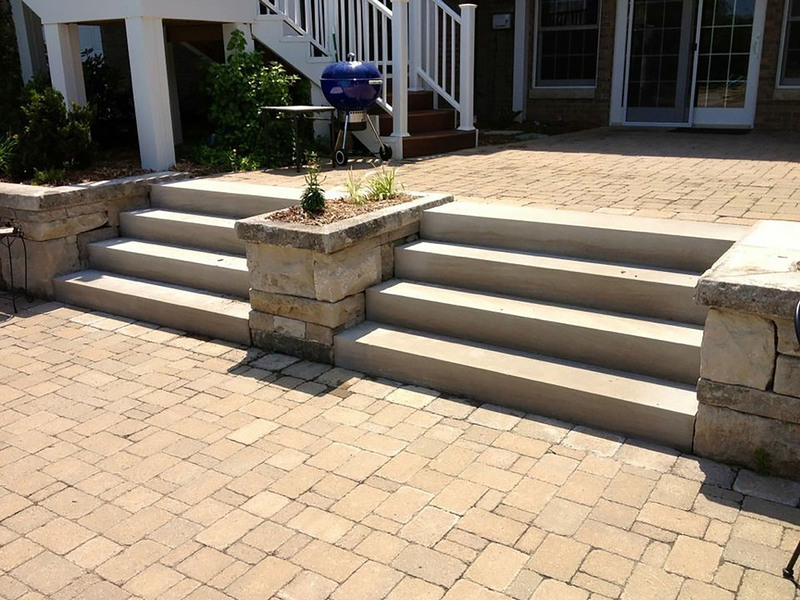 Bloomington is limestone country and the client grew up swimming in numerous abandoned sites. Derek began the design process by reviewing aerial imagery from many abandoned local sites. He noticed a common theme was the geometric fashion in which these sites had been excavated and the obvious limestone cliffs. 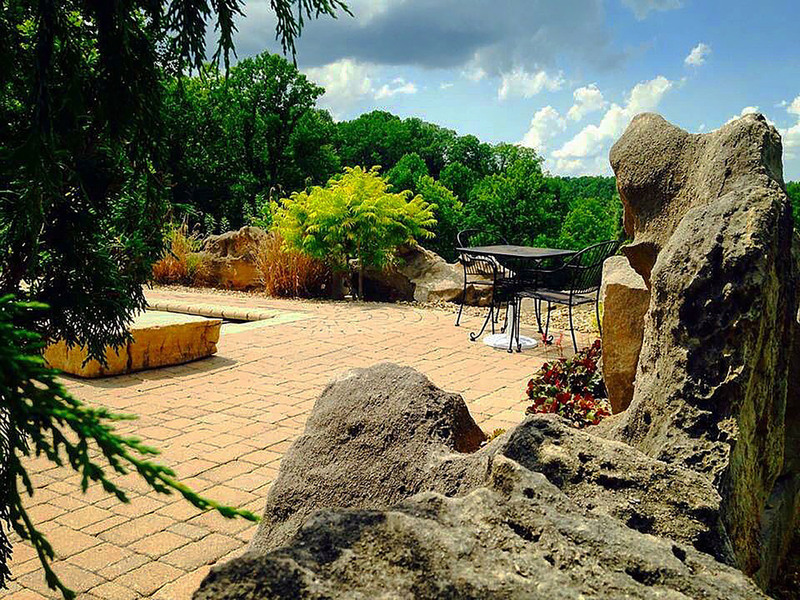 He worked closely with Shawn Eurton of Mother Nature Landscaping in selecting the right boulders that were going to provide the feel the client wanted while not blocking the beautiful vista views from the space. The other major constraint was site access, and the feasibility of moving the boulders into place. 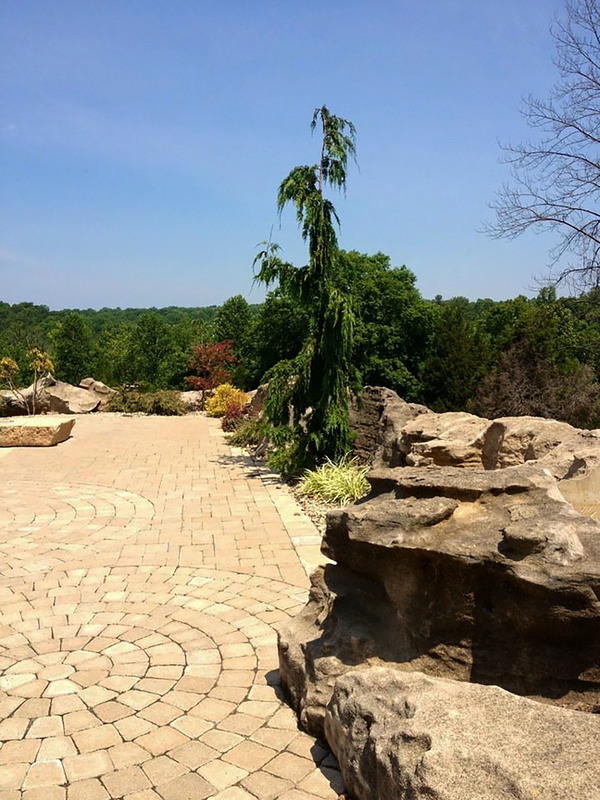 Collaboration and detailed communication between Derek, Mother Nature Landscaping, Parker Pools, and most importantly, the client, helped bring a very difficult build to reality.